Is this the beginning of a trend? San Juan going on sale from the West Coast? 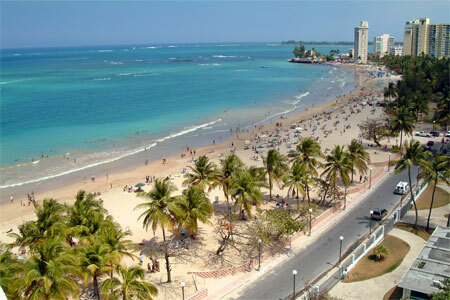 We just recently posted a deal for San Juan from San Francisco. We wrote in our San Francisco-to-San Juan post that in San Juan travelers should check out the beaches in Condado and Isla Verde. When the beaches tire you out, take in the culture of Old Juan and take a sip at the Bicardi factory. If that’s not enough, get out of San Juan and walk through the only rainforest in the US National Park system, El Yunque. November 2nd – 8th. Valid until Dec 14th for Tuesday and Wednesday travel. Use http://matrix.itasoftware.com to and monthly flexible search to find exact availability. 6,976 miles or 5.4 cents per mile.